This year’s Antique Car Show was once again a resounding success and, according to its promoter, FASF Member and State Park Chief, John Read, it had the biggest turn out in its history. 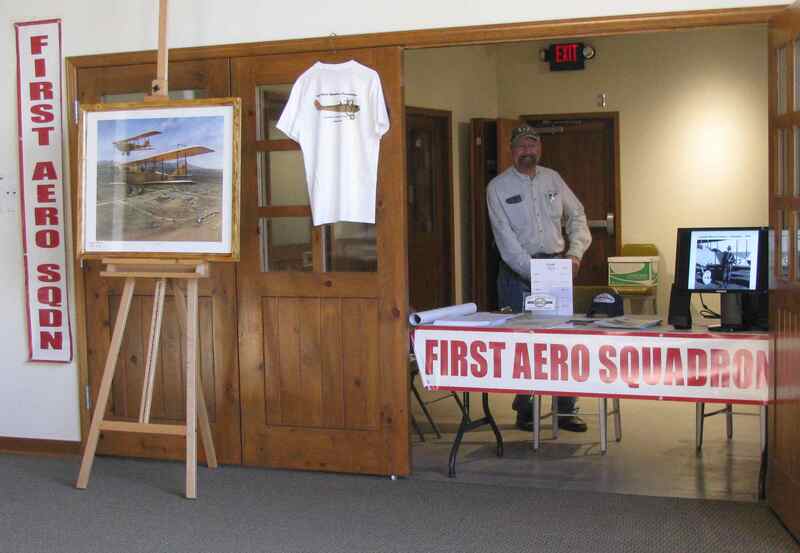 Below are some of the photos taken by your Aerodrome Staff of the activities, FASF participants and show displays, which help show how involved in this annual Columbus Event your FASF membership is. We were once again able to recruit more active members and volunteers at this local automobile show. Above: President Ric Lambart finishing up FASF Information Booth Setup in readiness for Show opening. 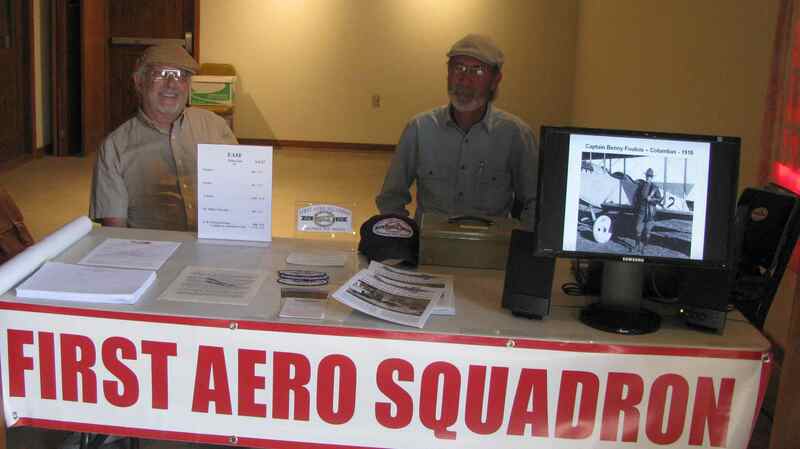 L to R above: FASF Member Dennis Grier and FASF VP Roy Mantei, both of Deming, NM, ready to start informing the show visitors about the FASF and its mission. Both Roy and Dennis have been standout recruiting booth volunteers. L to R above: Abelardo “Abe” Pina of Sinaloa, Mexico, and President Ric Lambart. Abe has just joined the FASF and is only the second Mexican Citizen to have become an active member of the FASF! Abe’s brother is an airline pilot. 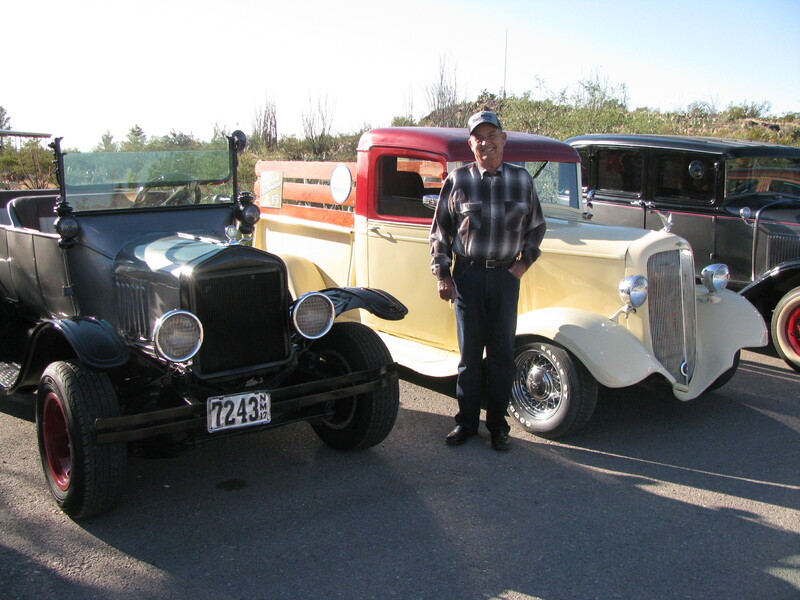 FASF member, Carlos Sepulveda and his three classic and modified cars entered in this year’s PVSP Antique Car Show. Not surprisingly, Carlos once again won more awards for his restoration skill, getting one award in each class for his three entries: 1st place for his 1917 Ford Model T roadster on the Left above; 2nd place for his 1930 Ford Model A at far right; and 3rd place for his 1933 Chevy Pick up, seen above in the middle just behind Carlos. 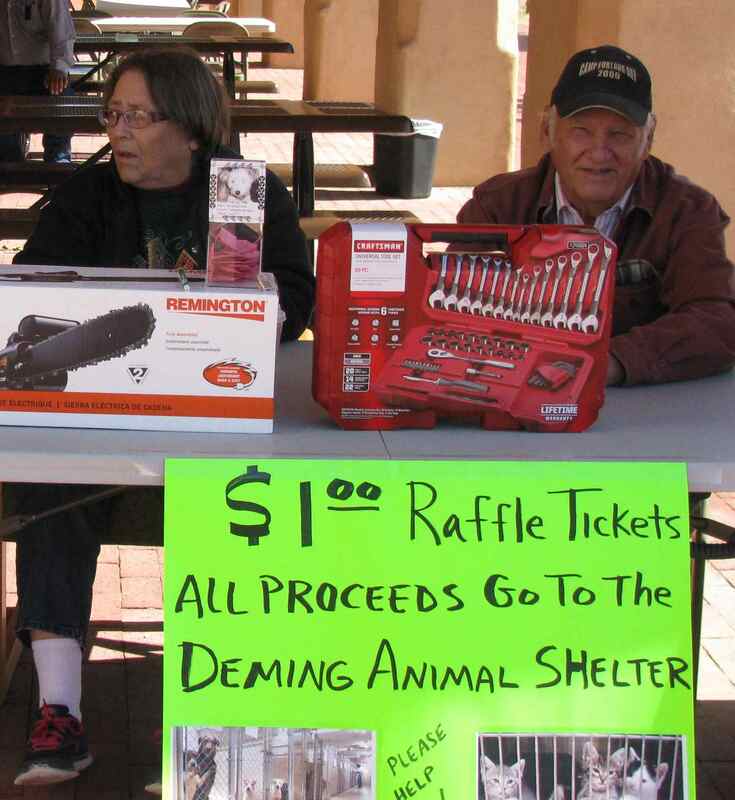 Jeane and Bud Canfield at Deming Animal Shelter booth. Bud recently retired as the FASF Secretary and Trustee and sits on the FASF Board of Advisors. Bud is former President of the Pancho Villa State Park Friends Group in Columbus and was once the State Park’s Managing Ranger. 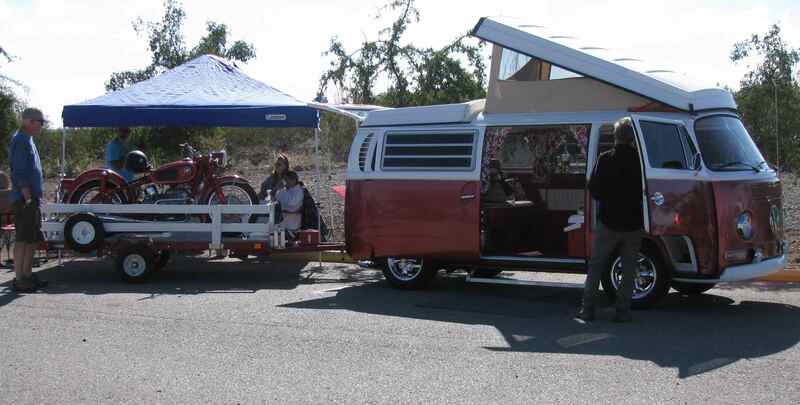 FASF member and car show contestant, Bob Wright’s 1969 VW Camper Van and 1960 BMW motorcycle. Both his entries are in immaculately restored condition. 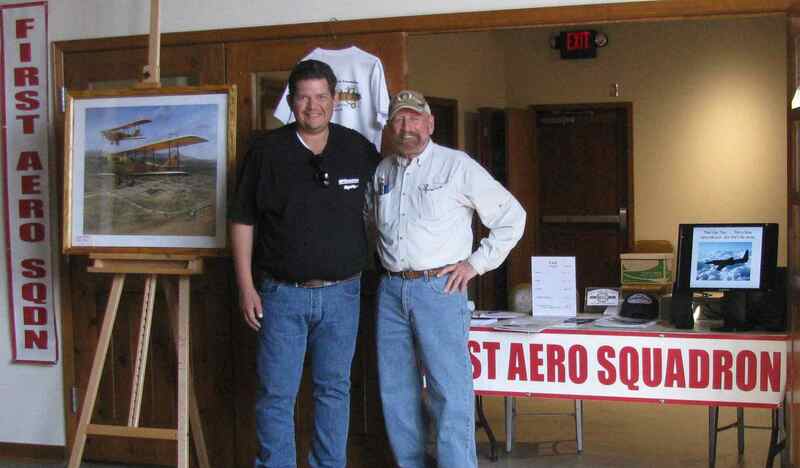 Bob is a retired employee of the Federal Aviation Administration and a fully certified FAA Aircraft and Power Plant technician. This impeccably restored VW Camper Van above won Bob a 1st place prize for the VW class in the contest. All in all, the FASF members who competed in this year’s show did an outstanding job and made quite a crowd in the winners circle! 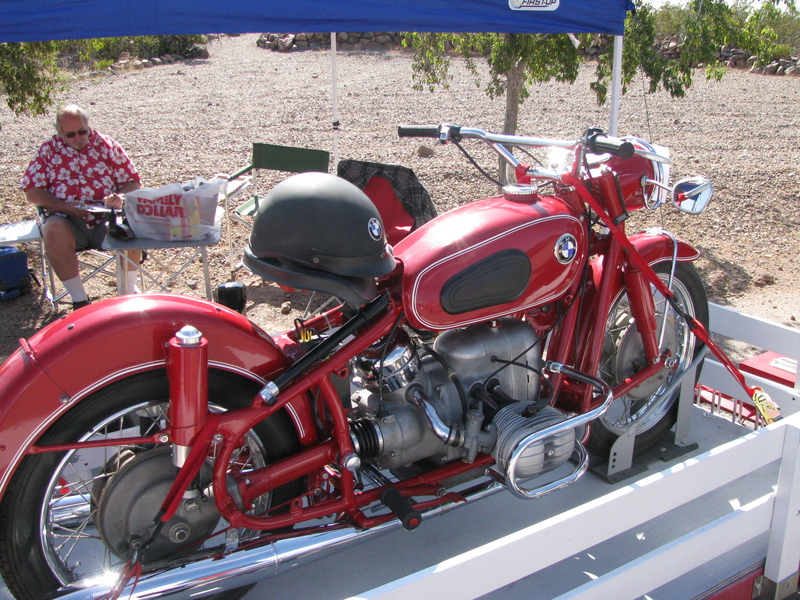 Close up of Bob Wright’s fully restored 1960’s BMW motorcycle with its owner taking a break in the background. FASF VP Roy Mantei proudly displays his just received 1st place award for his beautiful Mazda sports car, which we will have to show you in another future post. This entry was posted in HOT NEWS! on November 9, 2015 by FASFRIC.